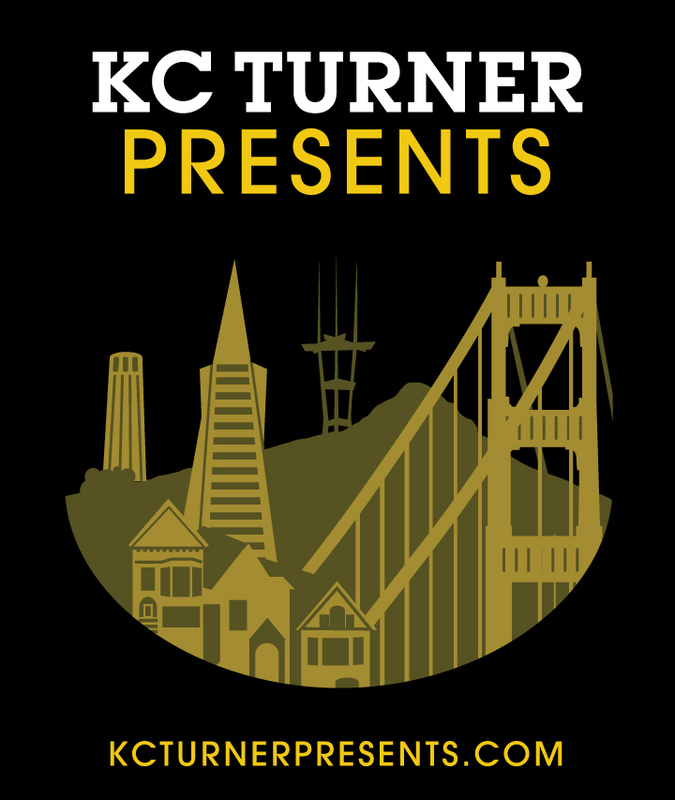 Hailing from Columbia, Missouri and now residing in San Francisco, California, KC Turner keeps himself busy by running KC Turner Presents, through which he offers and promotes live music throughout the San Francisco Bay Area and beyond. He produces his own house concert series, presents/promotes shows at various highly-esteemed venues, and helps build a vital connection between live music fans and the independent music scene. In addition to all of that, he manages singer/songwriter Megan Slankard and also writes and performs his own songs. When producing his events, KC has one main goal in mind: To showcase great live music. He believes in the music he presents. Because he showcases only artists for whom he has the highest esteem, fans can trust that any "KC Turner Presents" show will be high in quality and well worth the ticket price. Concerts produced by KC Turner consistently sell out at respected San Francisco venues and living rooms...yes, living rooms! Most people first hear of KC Turner through his House Concert series. At each show he provides live music fans with a rare, intimate performance from one or more well-established artists, literally in someone’s living room or backyard. He has featured such artists as Matt Nathanson, G. Love, Bob Schneider, Joe Ely, Ben Kweller, Steve Poltz, Griffin House, Sean Hayes, Alejandro Escovedo, Ramblin' Jack Elliott, Nicki Bluhm, The Mother Hips, Peter Case, Parker Millsap, Hot Buttered Rum, John Vanderslice, Glen Phillips, David Ramirez, Matt The Electrician, The Brothers Comatose, Hot Buttered Rum, Jon Dee Graham, Chuck Prophet, Dan Bern, Bobby Bare Jr., Tony Furtado, Patrice Pike, Birds of Chicago, T Sisters, Danielle Ate The Sandwich, Garrison Starr, Freedy Johnston, Nataly Dawn, Gurf Morlix, Susan Cowsill, Emily Elbert, The Mastersons, David Berkeley, Vienna Teng, Alex Wong, Amber Rubarth, Jerry Hannan, and many more. See "HOUSE CONCERTS" for more information. From May through October, KC teams up with HopMonk Tavern Novato to produce an annual Sunday Cookout Concert Series in their gorgeous beer garden. The highly successful series has featured artists such as: Chuck Prophet, Glen Phillips of Toad The Wet Sprocket, Dan Bern, Tim Flannery, Griffin House, Megan Slankard, Matt Jaffe & The Distractions, John Vanderslice, Heather Combs, Hot Buttered Rum, Peter Case, Susan Cowsill and many more. It’s the perfect outdoor setting for the whole family. What’s better than a Sunday cookout concert? During the winter months, KC teams up with HopMonk’s Sonoma location to present seated acoustic shows as part of the Listening Room Series. The intimate venue only seats 60 and the sound is top-notch as is the lineup. Every seat feels like a front row seat. The series has already featured highly popular artists such as Ramblin’ Jack Elliott, The Mother Hips (duo), Freedy Johnston, Griffin House, Chuck Prophet, and more. 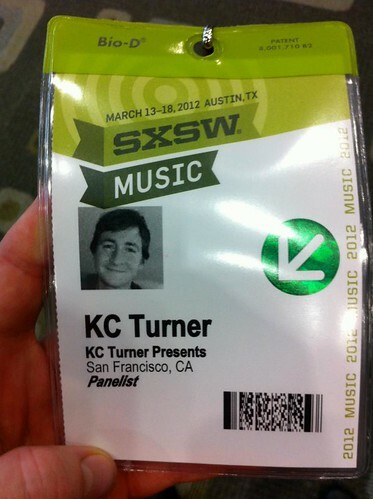 KC has produced multiple unofficial showcases at SXSW Music Festival in Austin Texas. In 2012 he spoke at the official conference on a panel about house concerts and produced 2 showcases that featured over 40 artists. In 2013, KC Turner Presents hosted another round of successful showcases at 3 location that featured 40+ artists, including Austin music hero Bob Schneider! One of KC’s favorite events to produce and present is “Bazaar Stock”, an annual day long musical extravaganza at Bazaar Cafe. Starting at 10am and lasting until 10pm, 36+ local songwriters perform original music, and all proceeds benefit Bazaar Foundation For The Arts, a nonprofit which helps artists fulfill their ambitions by providing them opportunities to develop and present their skills and talent to the San Francisco community. The event is 7 years and running! Although it is one of the smaller rooms in town, it’s exhilarating to see how much talent it can hold. Bazaar Cafe is a San Francisco gem that all local songwriters and live music fans cherish! In 2006, KC started hosting a weekly Open Mic Night in Novato, which ran for 6 years. After moving to San Francisco, he hosted an Open Mic Night at Red Devil Lounge for 2 1/2 years. Through these open mics he has introduced live music fans to new musicians and provided local musicians a platform to showcase their talent. In some cases this has led to other performance opportunities including opening for well-known national acts. KC has created an atmosphere of supportive openness and community at his open mics that has become the hallmark of the local music scene. Once the Red Devil Lounge open mic came to an end, KC began hosting pop-up open mics which took place at various San Francisco venues. This has led to a new monthly open mic at one of San Francisco’s best listening rooms in the Mission called The Lost Church. The open mic is named “SHHHongwriters Open Mic Night” to give emphasis that this is an event where folks come to listen. More info on the "KCTP: Open Mic" tab. The "KC Turner Songwriting Club" began as a means to connect songwriters with one another worldwide by taking part in a weekly songwriting challenge. Each week, KC announces a title that the “club members” must use in their original song. Everyone has one week to write the song and video themselves performing it. They then share their song on the club's Facebook page. It is not a contest, but rather a challenge to encourage folks stay motivated and engaged in their craft, all the while sharing what they produce with their fellow songwriters. Many artists have included songs from the club on their own albums. KC also organizes a weekly coffee/music meet-up on Thursday mornings from 11am-1pm at Bazaar Cafe in San Francisco’s Richmond District. This has been a successful way for local musicians and music enthusiasts to get together and talk shop. It is an informal setting where anyone and everyone is welcome to discuss items like upcoming shows, touring, tips on promoting and insight on the business side of music. Along with all of his other events, this shows KC’s dedication to fostering community among musicians and music fans. Lastly, KC Turner plays guitar and writes songs of his own. You can find him performing in small music venues, coffee shops and in songwriter showcases in the Bay Area. In the midst of his life as a promoter, presenter, host and talent-cultivator, KC found time to record and release an album, I Wanna Be Your Guy, in late 2012, which he promoted by way of his annual tour, spanning the territory from San Francisco to Chicago. In 2014 he toured the USA with Thunderegg, playing over 20 shows from Colorado to Georgia. Keep an eye on his tour schedule on the “kc’s music/tour” tab. If you love great live music, don't miss the next KC Turner Presents production! Keep your eye on the calendar.